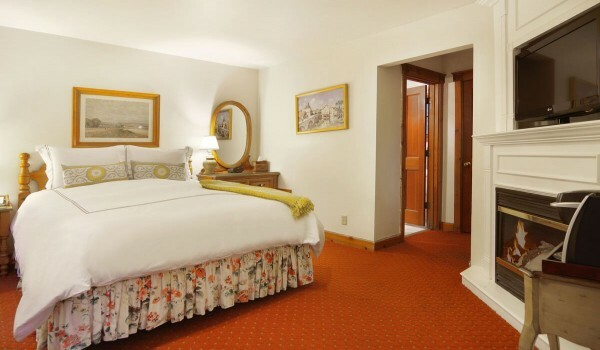 Toulouse-Lautrec is steps away from the Lobby and main deck. 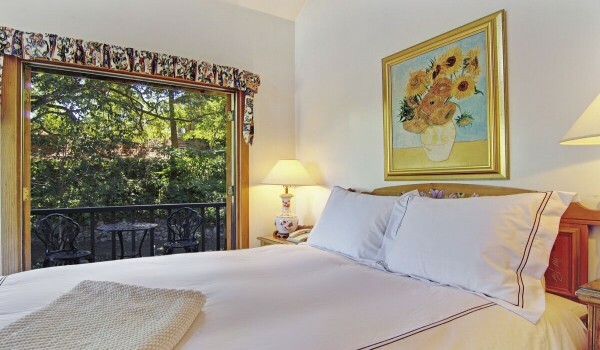 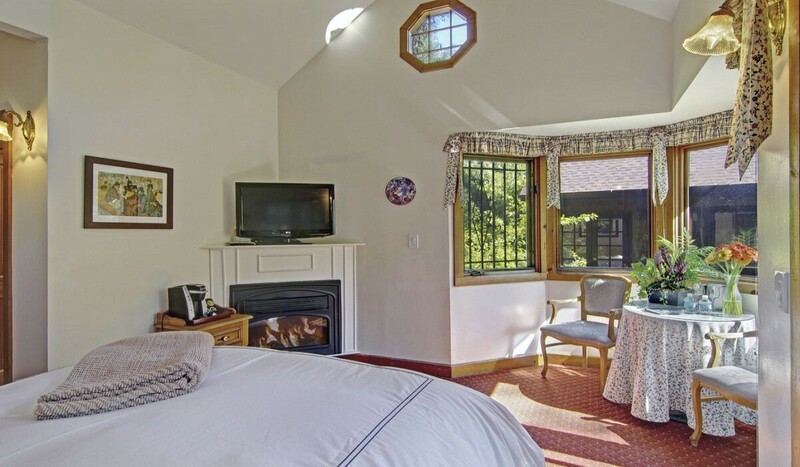 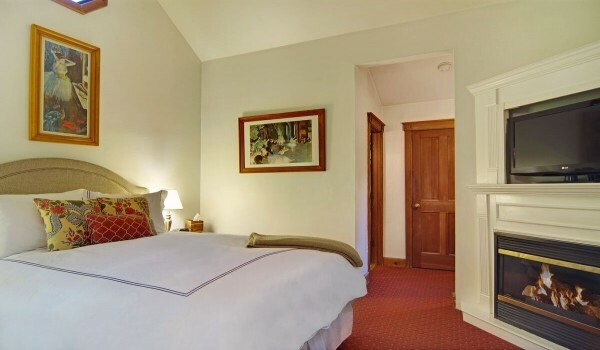 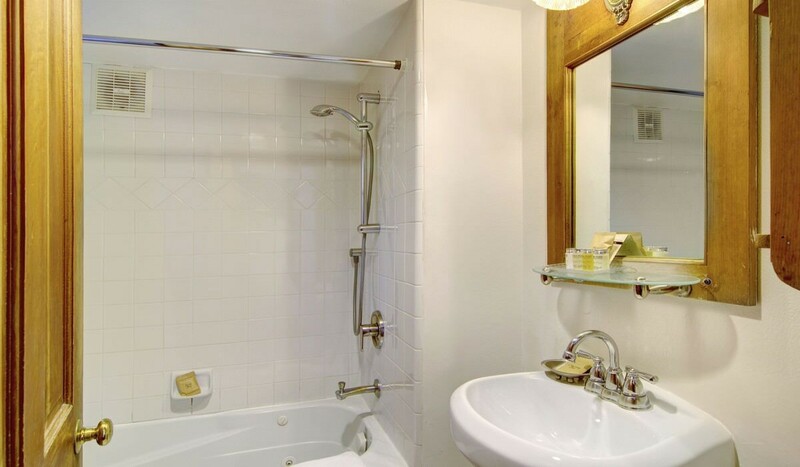 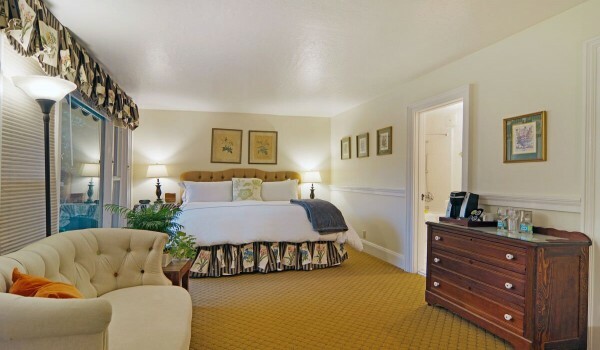 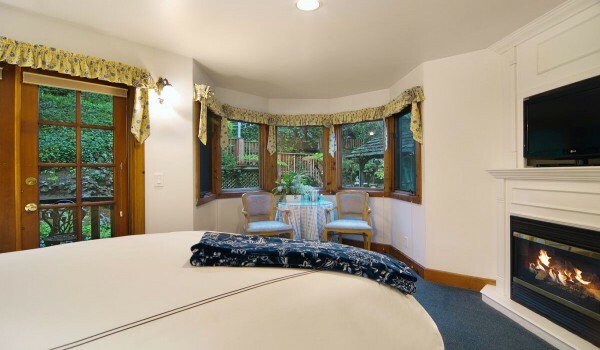 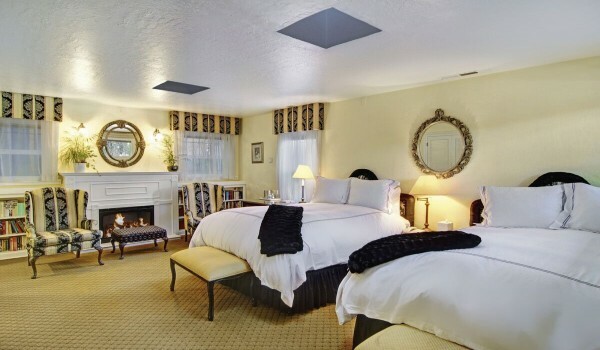 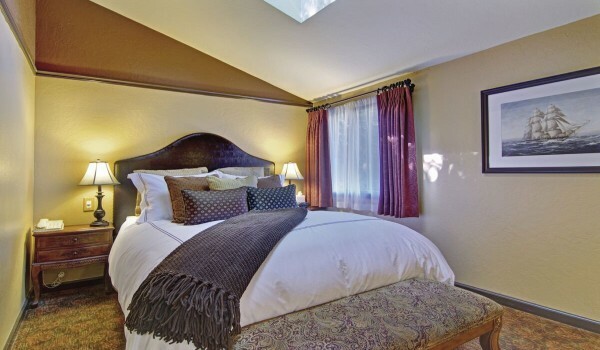 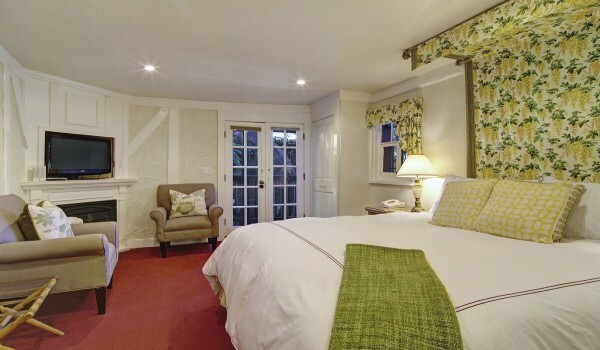 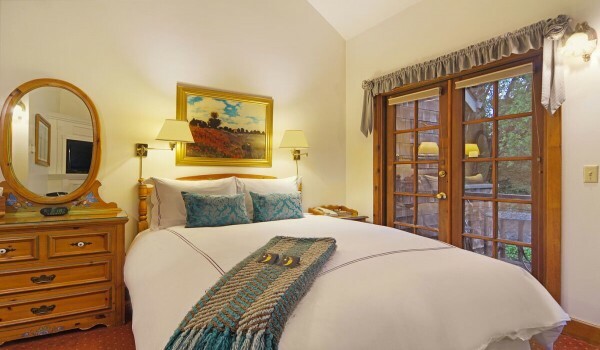 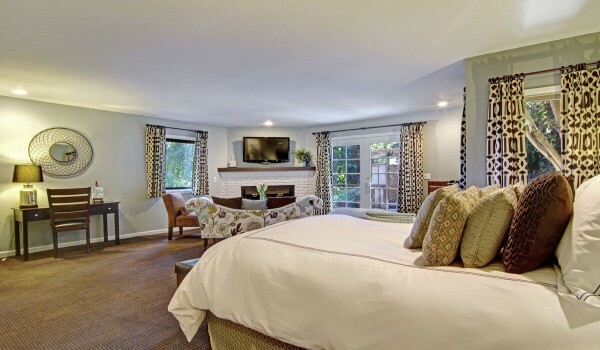 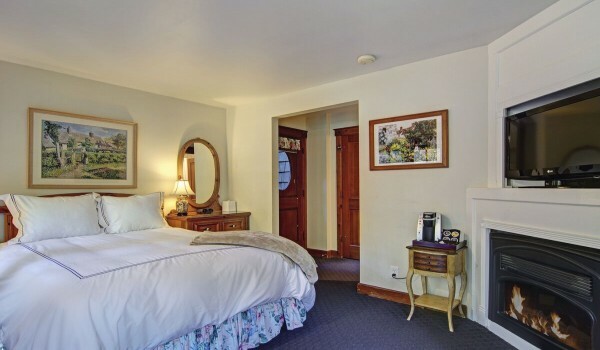 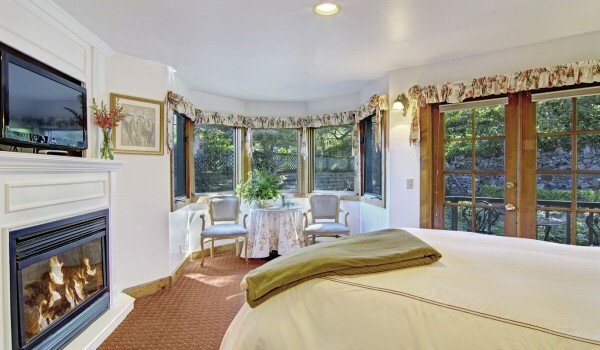 This guest room offers a luxurious queen-sized feather bed, high vaulted ceilings, and a private bathroom equipped with one person jetted tub and shower combination. 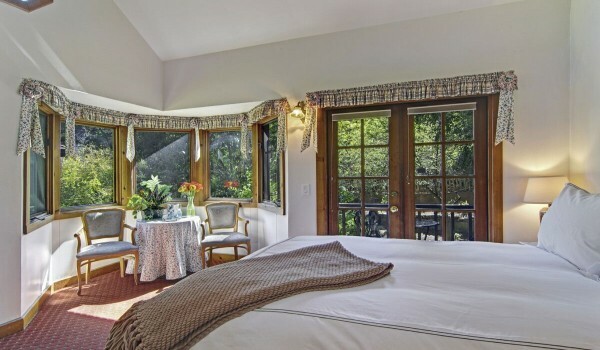 Delight in the view of the lush garden setting with an active brook running through the property from the private balcony.